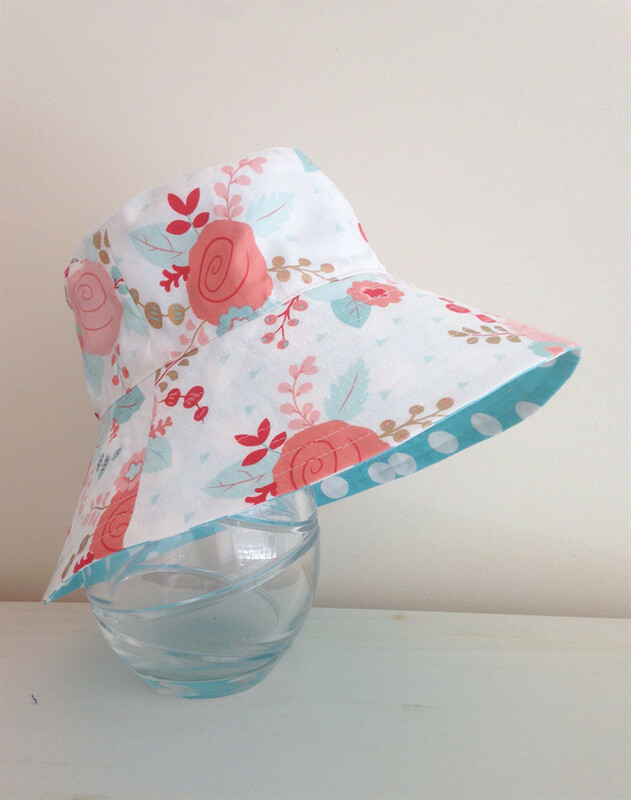 Your little girls will love these beautiful summery cotton hats and with an extra wide brim, they provide good protection from the sun. Wear the brim wide or fold it up to see the cute reverse, either way looks great! All hats are made from cotton fabric in a smoke-free, pet-free home. This floral fabric is a poplin fabric so slightly lighter weight than the regular quilting weight fabric used for my hats. While the same fabric is used, please note that the placement of the pattern and the reverse fabric used may vary slightly to that pictured. Also available in regular brim as used for my boys hat. If you would prefer this option please send me a message & I will set up an order for you.